Wick Birnem: You better take this along, Don. It's gonna be cold on the farm. Wick Birnem: How many shirts are you taking? Wick Birnem: I'm taking five. Wick Birnem: Yeah, I told them at the office I might not be back until Tuesday. We'll get there this afternoon. That'll give us all Friday, Saturday, Sunday, Monday. We'll make it a long, wonderful weekend! Don Birnam: It sounds long all right. 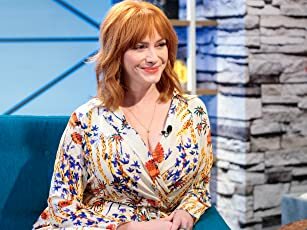 Q: Is "The Lost Weekend" based on a book? Q: What is the significance of the three balls outside of the pawnbroker's shop? "Before 'Weekend', alcoholism was treated as something funny. There were character actors who only played drunks, and always for laughs.There's nothing funny about a drunk." In The Lost Weekend we accompany the failed writer Don Birnam (Ray Milland) surrendering to the self-destructive nature of his addiction. Despite being good-looking and intelligent, Don is a hopeless alcoholic filled with self-loathing ("The reason is me. What I am. Or rather what I am not.") The brand doesn't matter, the cheaper the better  to him it's all the same. Drinking seems to be his only way to escape from his misery and low self-esteem. "Suddenly I'm above the ordinary. I'm competent. I'm walking a tightrope over Niagara Falls. I'm one of the great ones. I'm Michaelangelo, molding the beard of Moses. I'm Van Gogh painting pure sunlight. [...]" That's what a drunk Don tells his favourite barkeeper Nat (Howard Da Silva). Yet, in one aspect he is lucky. Unlike many of his fellow sufferers he is not alone. After years of abuse, his faithful girlfriend Helen (Jane Wyman) and his brother Wick (Phillip Terry) have still not deserted him. Compassionately they do their utmost to protect Don from himself by keeping him under close observation. With great effort they determined the most inventive hiding-places of his bottles and they even visited nearby liquor stores and bars, begging not to accept Don as a customer. There is nothing they haven't tried, but Don appears to be beyond salvation ("I am not a drinker. I'm a drunk." he tells them.). Just before the three of them are about to go on a weekend trip, Don devises a cunning plan to temporarily get rid of the two persons who care about him, giving him time to acquire the liquid he treasures the most. Soon he is stone drunk, staggering through the streets, always on the lookout for the next drink. For Don there will be no weekend trip. Only the bottle and the desperate humiliations connected with attaining it. 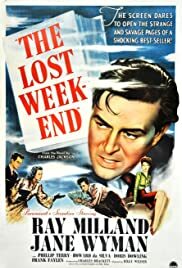 The Lost Weekend is a a drama of great emotional vehemence, lacking the light heartedness of Billy Wilder's later works. It gives unclouded insight into the darkest corners of alcoholism and depicts the powerlessness of the alcoholic over himself. 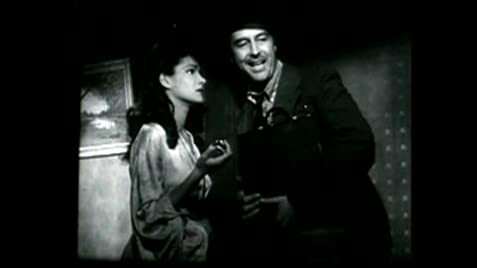 Wilder created great controversy at that time by letting the lead actor succumb to his addiction. He didn't shy away from showing the addict's humiliations when begging for money or booze. Neither did he hesitate to point out the addict's loss of all self-respect when stealing and lying to pay for his one need. The horrifying hallucination scene only adds up to the disturbing decline of Don Birnam's humanity, proving that the greatest horrors lie within our imagination. This is an excellent film of lasting relevance. It is technically brilliant and shines with great dialogue (which is typical for Wilder). Its storytelling (flashbacks) is superior. Furthermore Ray Millard (Dial M for Murder) gives a terrific and equally courageous performance as the the self-destructive alcoholic. You can see the desperate self-loathing and calculating slyness of a true addict written on his face.